You are already lucky enough to be designing your home in the layout and style you want. Once it’s built, you get to repeat that joy by seeing your interior design wants and needs fall into place. Whether you choose to work with an interior designer and allow them to make the choices based on your set of requirements, or you take total control. The interior design of your home is totally in your hands when you are building a custom home. It isn’t just about how the home looks, it’s about the functionality and use of the space. Ideally, you will hire an interior designer to ensure that the interior of your home is pulled together and presented as a completely usable space. This should be done at the beginning of the process, though, so that your interior designer can assist in guiding you through the actual architectural design of the home. 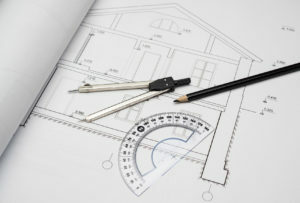 They understand space and can help you apply that information practically to the layout and design of your custom home. They are trained to assist clients in choosing designs that fit their lifestyle, which in turn means they understand home layouts and how best to use a space. You don’t just want the space to be aesthetically pleasing, you want it to be practical, too. This is your home, after all, and you want to feel comfortable. It isn’t just about the blinds, throw cushions and art pieces to tie it all together. Your home should serve you, and you have total control over just how your home serves you when you designed the custom home in the first place. It is equally as important to consider how interior design can enhance those decisions. A good interior designer won’t come cheap, but it’s certainly cheaper than having to make changes down the line, once you realize you may have missed a trick or two when you designed your home. If you have a clear understanding of what you want and how you want it, then you’re not going to find yourself in that position. However, if you have a good idea of how you want things to run but you aren’t sure how to achieve it, then you should consider drafting in an interior designer from stage 1 of the process. If you do know what you want, introduce the interior designer at a later stage to achieve the aesthetics that you want. Or, if you want to reduce costs you could instead bring in the interior designer for the layout alone and take care of the rest yourself. Regardless of which option you choose, an interior designer is a must when it comes to creating your custom home. If you plan a Home Addition Interior Design, do not hesitate to contact us for the price quote, or if you have any questions about Additions in general, Our professionals ready to help you anytime.